MANILA, Philippines - Now that President Rodrigo “Rody” Duterte is in full control of the Philippine government, it’s now time for him to put his words at work and prove to the nation that he’s the real deal and its only hope to make the Philippines peaceful and on top of the world once again. New DOJ secretary to fire all BUCOR jail guards and replace them with SAF and Marines. Duterte along with his Cabinet members swore their oaths last Wednesday, June 30th. Right after the inauguration rites, the new set of top government officials held their very first official meeting at the Malacañang Palace to start their first day in office. President Duterte, who is also known as “The Punisher” for being too brutal against drug related criminals, promised to wipe out the illegal drug trade in the country in three to six months. Even weeks before he formally assumed the presidency, the PNP, all of a sudden became relentless in pursuing the most wanted drug pushers in the country. Majority of the suspects allegedly resisted the arrest that resulted to their bloody demise. Along with the newly installed PNP Chief Ronald “Bato” Dela Rosa, Duterte is really dead serious in hunting down the big bosses of various drug cartels in the Philippines. Some of them, voluntarily surrendered to the authority to avoid any misfortunes. During the past administration, Duterte has already been criticizing former DILG Secretary Mar Roxas and former DOJ Secretary and now Senator Leila De Lima for the prevalent drug trade inside New Bilibid Prisons in Muntinlupa City where most drug lords are being detained. The fiery leader is now considering to bring back the death penalty in the justice system to punish the murderers, rapists and especially drug traffickers. Duterte has appointed Secretary Vitaliano Aguirre II to take over DOJ department which was vacated by De Lima and ordered to clean up the contaminated Bureau of Corrections (BuCor). Sec. Aguirre, like his boss, started his first day of work by focusing on eliminating the illegal drug trade inside the national penitentiary. He’s really pondering on massive revamp inside the Philippines’ main correctional institution by replacing all BuCor guards with PNP SAF and Philippine Marines. 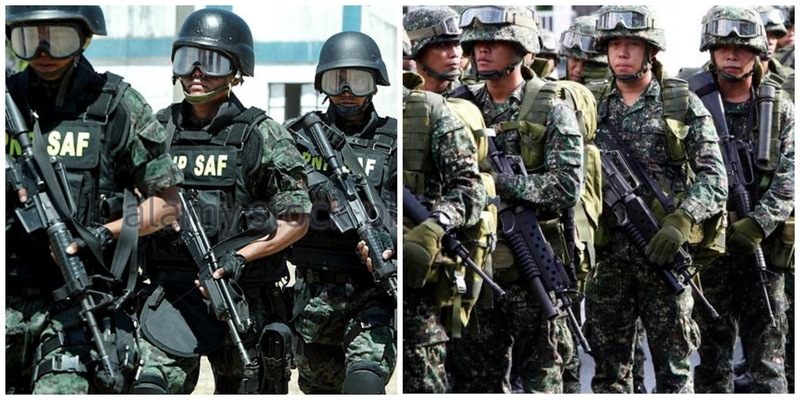 Both SAF and the Marines are recognized as the holy grail divisions of PNP and Army - Navy due to the elite training and equipment that they have. The new DOJ Secretary has also recommended Marine Major General Alexander Balutan to man the BuCor and be its director-general. Part of the plan also is to install super signal jammers in Bilibid premises to prevent the drug lords’ communication with their foot soldiers outside the correctional. Aguirre is also looking for regular three-month-guard-reshuffle to avert the inmates’ over familiarity with the jail guards. A month ago, President Duterte expressed that he is also eyeing an Alcatraz-type of setup for the the notorious drug related convicts to keep them away from the outside world and prevent their relatives and other cohorts in smuggling weapons, mobile phones, money, drugs and other contrabands inside the prison. General Bato Dela Rosa once said during an interview that eliminating the illegal drug trade in the country in three to six months is still possible and doable. Just yesterday, right after his formal installation at Camp Crame, he ordered all Police officials and members to undergo drug testings. All Police officers who will get drug positive results will be immediately dismissed and will be apprehended. Dela Rosa also warned all Police officers to surrender in forty eight hours if they are guilty of any drug crimes or else he will not stop tracking them and declare war against them and their company. As of last night, Gen. Dela Rosa confirmed that there are some Police officers who surrendered.